Caribbean Website Designer » Is your company leveraging the power of WhatsApp? The instant messaging application for smartphones, WhatsApp was founded by Jan Koum and Brian Acton in 2009 as an alternative to SMS. Without pouring over any statistics of its usage and judging from your own personal experience using it, one can discern the power of WhatsApp. Now that you have seen these statistics, what does all these figures mean for your company? If your company want to be reached by its existing customers and new potential ones, you should make it easy for them. In this day and age of instant messaging, verbal communication and email messaging are taking the back seats, and you should reach your target market where they have a presence. When Facebook spent a whopping $19 billion in 2014 to acquire WhatsApp, they undoubtedly saw the potential for the app, although they already had an impressive portfolio of social media and messaging apps. WhatsApp now supports sending and receiving a variety of media: text, photos, videos, documents, and location, as well as voice and video calls. The messages and calls are all secured with end-to-end encryption, meaning that no third-party including WhatsApp can read or listen to them. 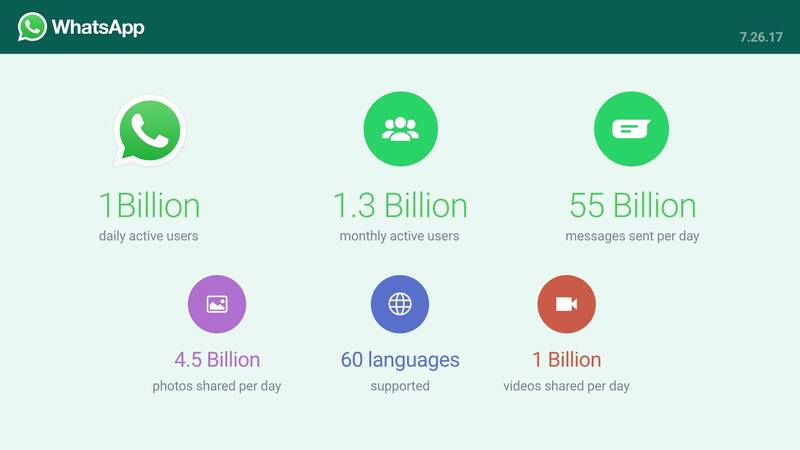 WhatsApp has since launched a business app, aimed at small and medium sized companies. With the app, businesses can interact with customers easily by using tools to automate, sort, and quickly respond to messages. Can WhatsApp be integrated into your existing website? Absolutely! With some code injection to your website, you can make it easy for people to share your pages on WhatApp and also to connect with you. 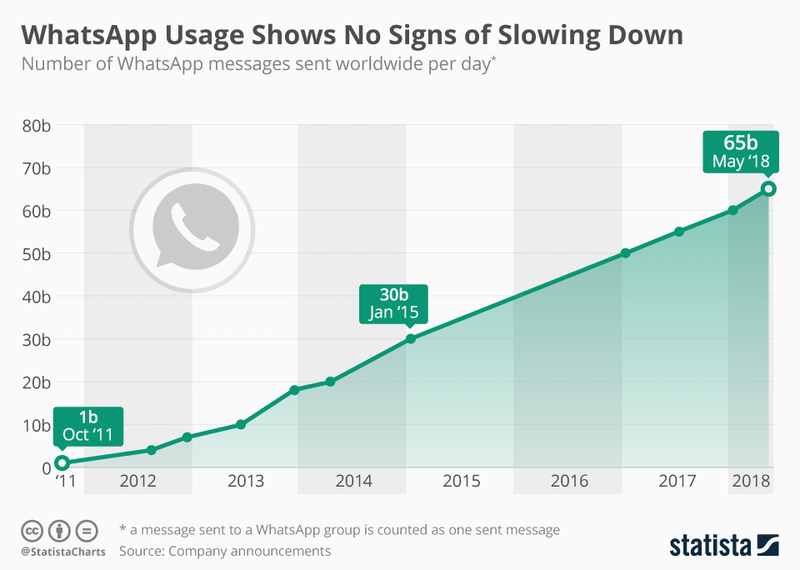 As the graph below illustrates, WhatApp messaging is showing no signs of slowing. Your company should get on board now. Do you want WhatsApp integrated in your website?